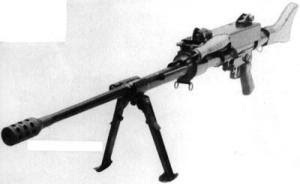 The Mekanika Uirapuru is a general-purpose machine gun of Brazilian origin and is chambered in the 7.62×51 mm NATO calibre. Standard fare for the Brazilian Armed Forces, the Uirapuru features design simplicity and ease of operation. This home-grown GPMG replaced the FN MAG. 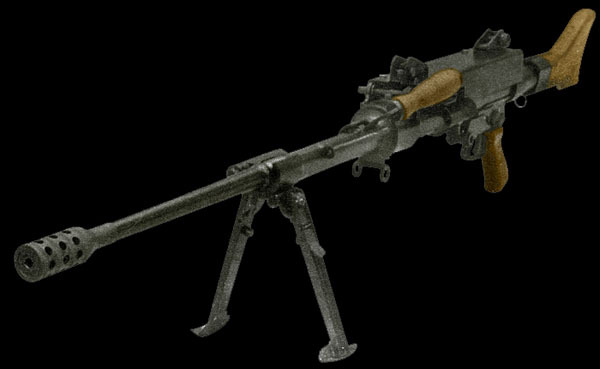 Brazil's arms industry may have been slow in getting started, but today it is a major domestic producer and exporter of weapons systems, as in aircraft, fighting vehicles and small arms, light weapons like the Uirapuru GPMG in 7.62 mm NATO. 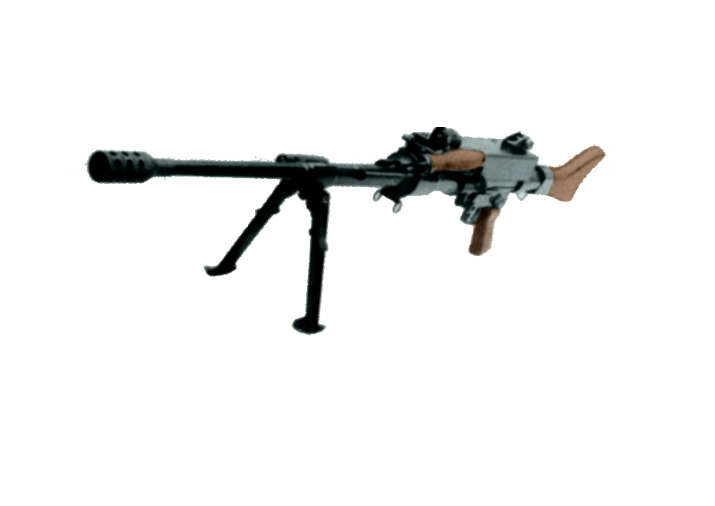 The Uirapuru is a conventional gas-operated machine gun that is suited for all military occasions-infantry support; armor- and aircraft-mounted or ship-borne, It is belt-fed and capable of cycling 700 rounds per minute, For sustained fire mode, the Uirapuru can be mounted on a tripod and also comes with a top-mounted carrying handle. It weighs 28 pounds with the bipod. This weapon is 51 inches and change long and sports a quick-change 23½-inch barrel with a flash suppressor. The Uirapuru is the brainchild of Brazilian Olympio Vieira de Mello, manufactured by Brazil's Mekanika Industria e Comercio Ltd.